Amit Sengupta, one of the most important global leaders of the people’s health movement and of the people’s science movement, left us this week. He was a close friend of LeftWord Books from our inception in 1999. We spoke to him early into our existence to do a book on public health. We went to see him in the Delhi Science Forum office and discussed the outline of such a book – either a full-scale monograph or a shorter book that would become part of our Signposts series. Amit was eager and willing, his face always aflame with a smile. Over the years, we often spoke of this book – and Amit would quite rightly say that he was too busy with this or that immediate task, work that including building up the rational and scientific temper in an India declining into obscurantism and hatred. ‘I’ll do it’, he would say, as he rushed off to a meeting or to address a gathering. Over the years, Amit helped us develop a number of books. It was from Amit that we got the terrific book Alternatives to Privatisation: Public Options for Essential Services in the Global South (edited by Greg Ruiters and David McDonald). We worked closely with Amit as he produced the very fine Global Health Watch volumes. Over the years, Amit would often counsel us about our books – pushing us to think of books on science and technology, books on medicine and food. He was not just interested in critique, on a rebuke to our very unkind world; he was equally interested in visionary books that would tell us about the reality of a better world. More work on cooperatives and on people’s medicine, more work on people fighting for solutions to the problems of starvation and ill-health. 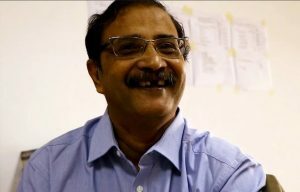 The encouragement of Amit Sengupta, our comrade and friend, will be deeply missed. We send our deepest condolences to Tripta and to the rest of his family. We, his comrades and friends, are bereft. All that Amit taught us remains with us. It will continue to guide us.